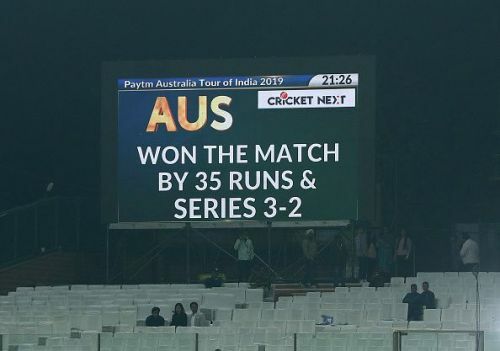 After a display of quality and class which led to them outclassing Australia in all formats on their home soil, Australia returned the favor in their limited overs tour to India. They won the T20I series 2-0 and after being 0-2 down in the ODI series, they came back thunderously to win the series 3-2. Australia became the fifth team to come back from a 0-2 margin to win a five-match ODI series. It was a complete team performance with the likes of Usman Khawaja, Peter Handscomb, Adam Zampa, and Pat Cummins being the most impressive. India had their moments of individual brilliance with Shikhar Dhawan’s 143 at Mohali, Virat Kohli getting to his 41st ODI century and Rohit Sharma surpassing 8000 ODI runs. But there were many missed opportunities from the likes of Rishabh Pant, KL Rahul, and Vijay Shankar. India were looking to experiment a lot in their endeavour to find the right balance ahead of the World Cup. So the combinations were tweaked a lot, especially with the bowlers, which necessarily didn’t work out. For example, Bhuvneshwar Kumar played after a long time and looked rusty and out of form. India wanted to find answers to some problems that have been haunting them in recent times, but there seems to be no end to them, going by their 2-3 series defeat to Australia. The visitors undoubtedly were much better than India but India also played a part in the series defeat. Here is an analysis of what questions remain unanswered for India as they head into the ICC World Cup 2019. This has been India’s biggest problem for quite some time now. It has not hampered their success as an ODI team in recent times. They were dominant in New Zealand, South Africa and Australia - something not too many Indian teams have managed to achieve over the years. The perfect balancing act is something that’s missing in the batting lineup. India are still far too dependent on their top three batsmen, Rohit Sharma, Shikhar Dhawan, and Virat Kohli. Only the ever dependable Kohli shone with the bat in the recent ODI series, affecting the team’s performance. 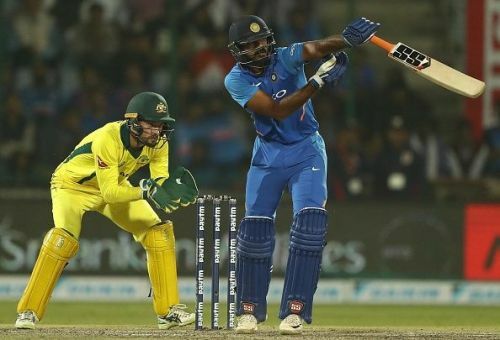 Keeping their theme of experimentation going, India tried Vijay Shankar, Ambati Rayudu and KL Rahul and there’s no clear clarity as who will travel to England and Wales for the World Cup. Going by his recent performances in New Zealand and his fantastic over under pressure in Nagpur to give India a win, Shankar seems to have nailed that spot. He couldn’t deliver a series defining performance against the Aussies, but Rayudu and Rahul were way too inconsistent. Keeping the conditions which would be on offer at the World Cup, Shankar most likely will be the No. 4 batsman who can give Virat Kohli 5-6 reasonably quiet overs. But with Hardik Pandya set to return for the World Cup, would India want a specialist batsman instead for the coveted No. 4 spot? So this question still remains unanswered. Out of the three batsmen given an opportunity in the recently concluded ODI series, Shankar should ideally make it to the World Cup squad but one never knows what the selectors would opt for.